If you are looking for a high value iPoker deal and some free monies to grab, we have you covered with Betfair! Join our €1,250 Exclusive Betfair Loyalty Freerolls and reward yourself with free a free bankroll every Sunday at 6 PM CET. Note: Our weekly €1,250 loyalty freerolls are running every Sunday at 06.00 PM CET and all qualified players receive a token to enter. There is no password required to enter. 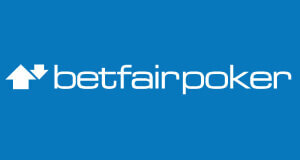 All qualified players who sign-up with Betfair through us are eligible for the promotion.